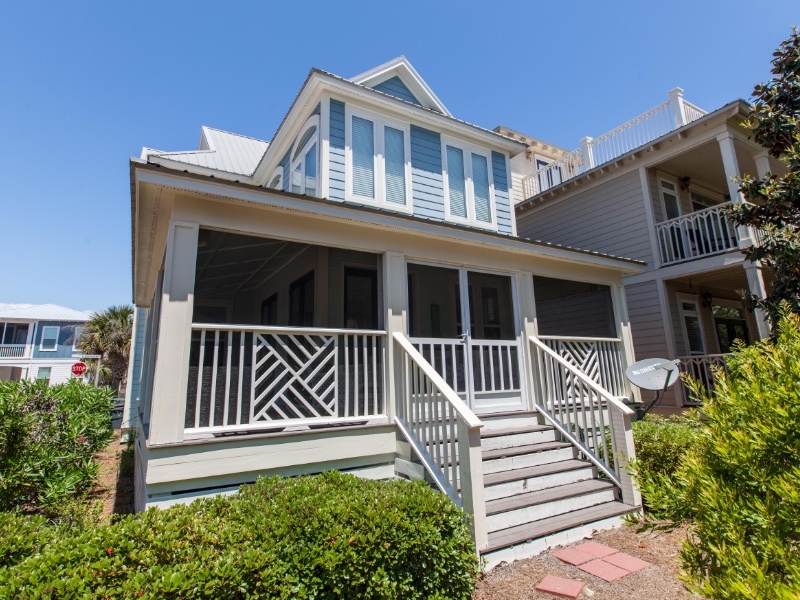 Forever and Always is a beautiful home located in popular Seacrest Beach, snuggled in between Alys Beach and Rosemary Beach. Surrounded by endless dining, shopping and entertainment, your family can always find something to do. Opt for walking 10 minutes to the beach or hop on the complimentary shuttle service (runs seasonally). You will pass the centrally located lagoon pool, the highlight of many visitors stay. When you arrive at the home you will have two parking spaces and easy access to the property. Upon entering the home you will find the first bedroom with king bed. Strolling further into the home you will walk into the kitchen and dining area. The kitchen has all you would need to cook your favorite meal. The large dining area has seating for eight with two additional bar seats at the kitchen island. Just beyond the kitchen and dining area you will find the great living room with thirty foot ceilings and plenty of seating for the whole family. Just off the living room you will have access to the screened in wrap around porch. On the second floor you will find the first guest bedroom featuring two bunk beds, 4 twin beds, with its own private bath. Further down the hall you will find the master bedroom with king bed and private bath. Forever and Always will be a theme during your stay and future trips down the road.